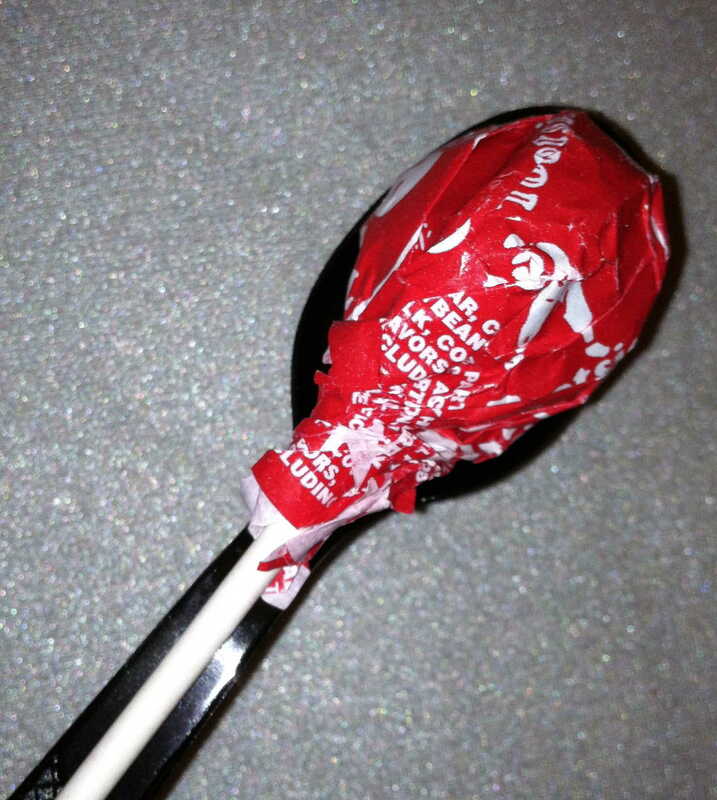 This is my Halloween treat for this year. 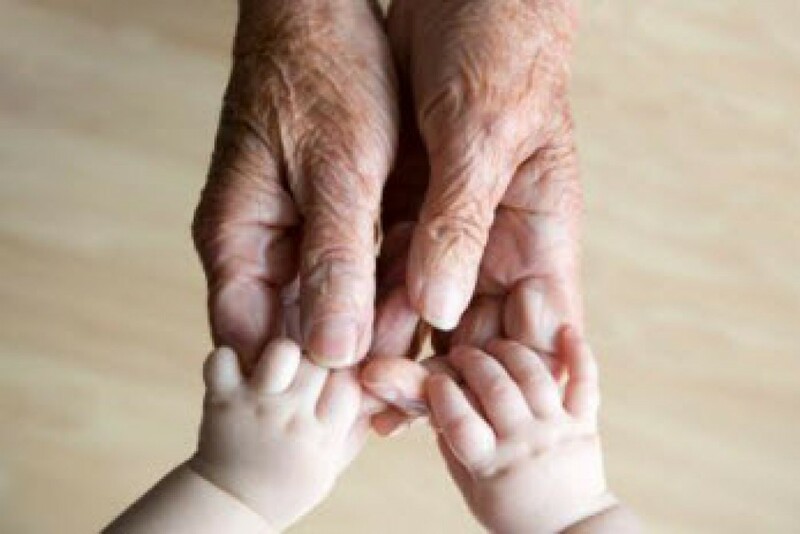 I think it is absolutely adorable! 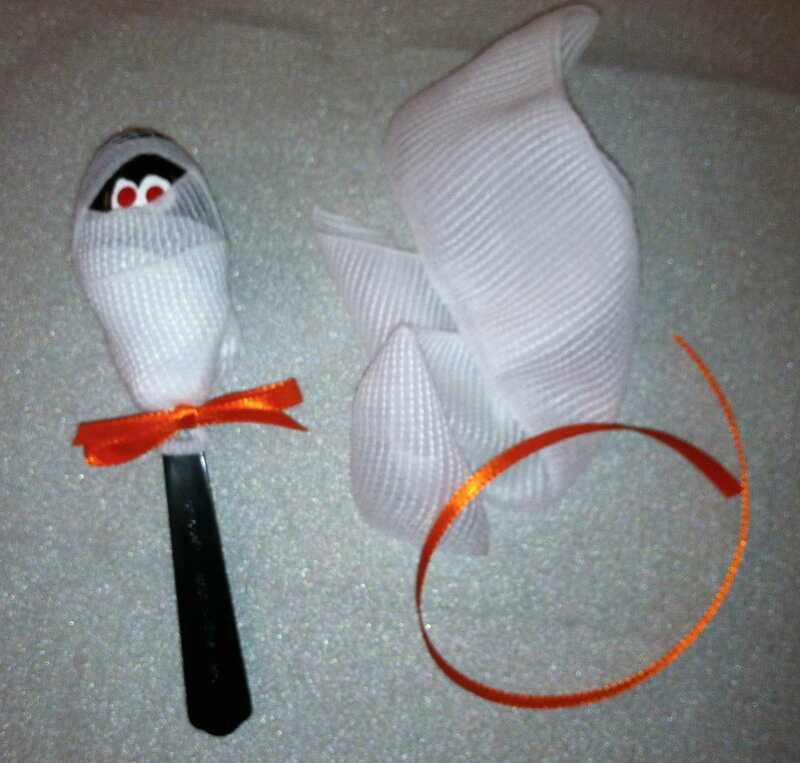 This is the first year in several decades that I will actually have any Trick-or-treaters, so I am having a grand time making many of these cute Mummy Pops to give away. 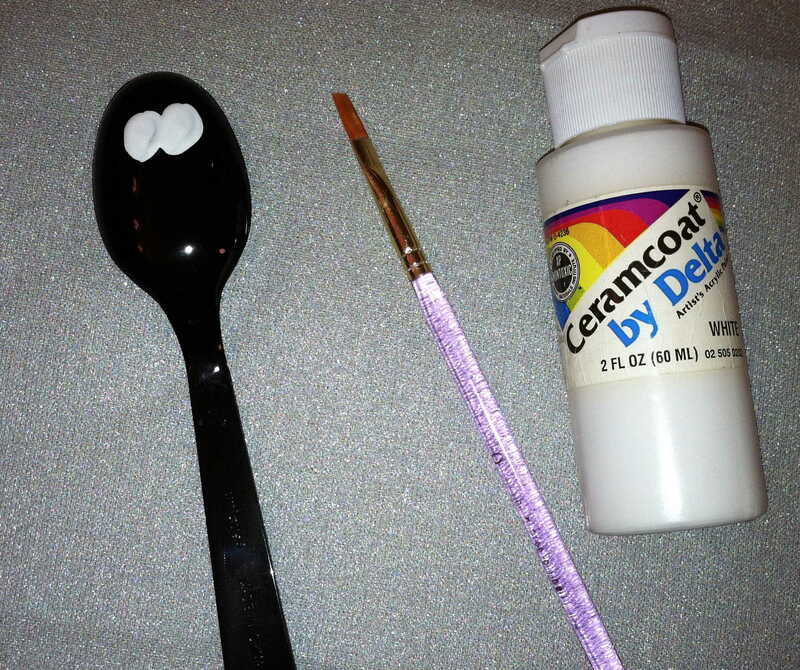 Step 1 – On the back of the spoon, paint two white eyes. The eyes should be connected in the middle. Don’t worry about wavy edges, or uneven eyes. They actually look better that way! 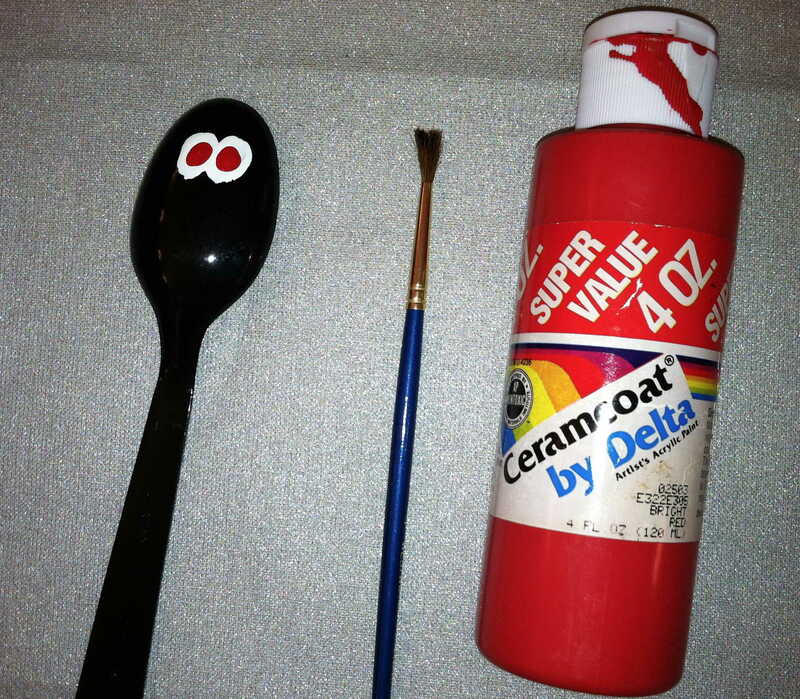 Step 2 – When white paint has dried, paint two small red centers on white eyes. Again, these can be uneven and they will look fine. 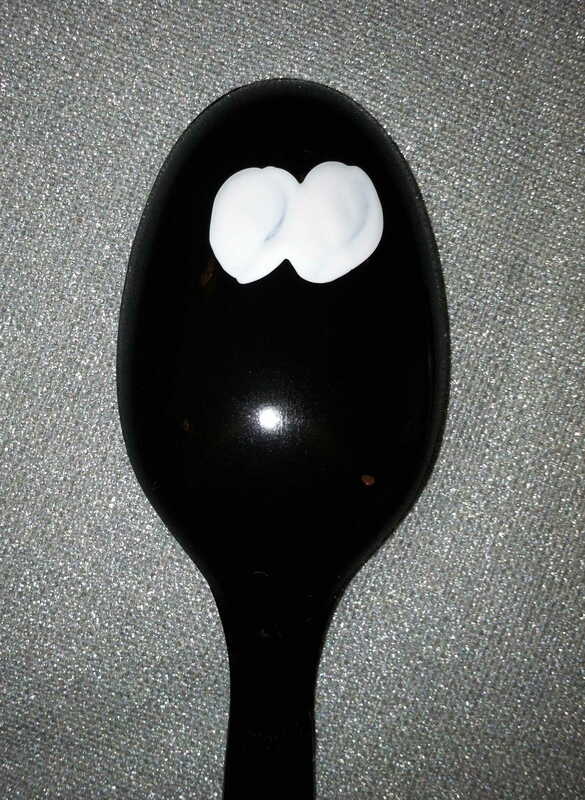 Step 3 – Take sucker and place it in bowl of spoon. Step 4 – Cut about 18-20″ of gauze. 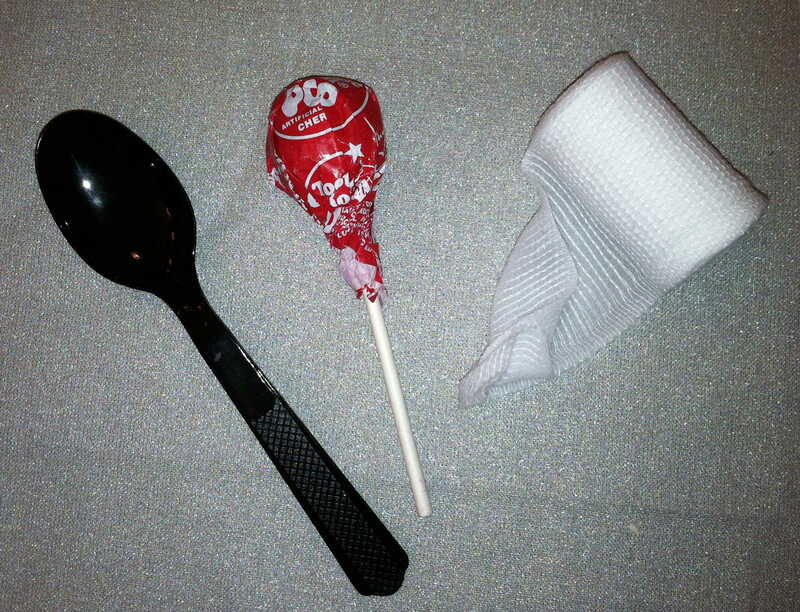 Holding sucker in spoon, wrap gauze around both. 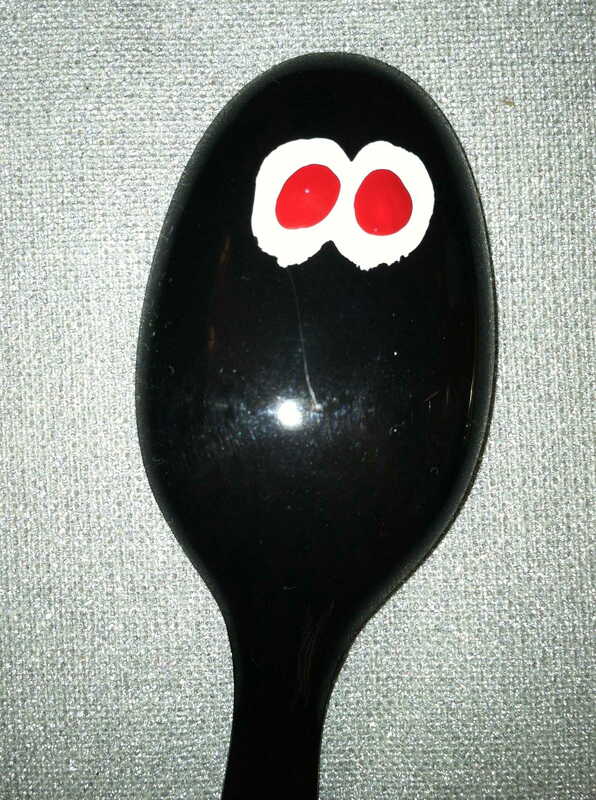 One wrap must go over the top of the spoon above the eyes. The eyes should show through the gauze like a Mummy. 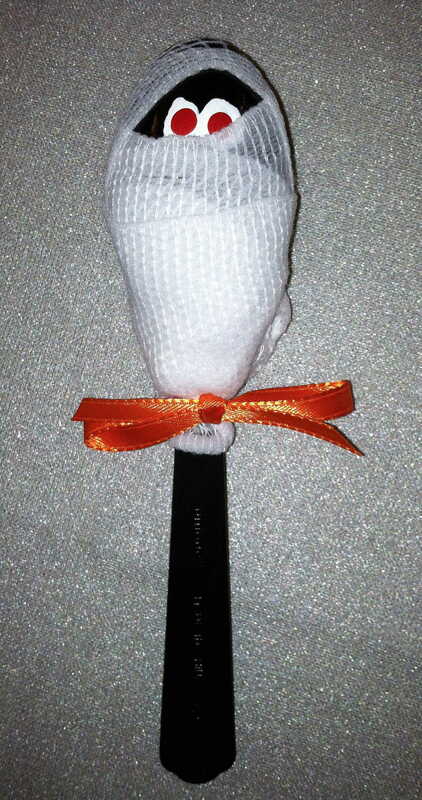 When done, put a dot of glue on end of gauze and stick in place. Step 5 – Cut about 10″ of orange ribbon. Tie around the neck of the spoon on top of the gauze. Make a cute bow and cut off excess ribbon. And there you have the best tasting Mummy in town! Make plenty! I am! Happy Halloween, my Sweeties! This entry was posted in Granny Camp and tagged food, Halloween treats, holiday by The Village Granny. Bookmark the permalink. Too cute. I missed all your little creations at retreat this year. Thanks. I missed all you guys too. I hope it never happens again! Have a fun Halloween.